For parents, finding the right school in which your child can flourish is one of the most important decisions you will make. At Silver Spur, our mission is to educate the whole child. Our teachers are extremely well-prepared and have high expectations for all students. Our teachers are energetic, enthusiastic, motivated about teaching and learning and are entirely devoted to making learning available to all students. With our rich programs in academics, the arts (Art at your Fingertips, General and Instrumental music, chorus and ensemble), and outdoor education (School Gardens) as well as physical education and STEM (Science, Technology, Engineering and Math), Silver Spur offers to educate all students and enable them to become future citizens that will be able to make thoughtful choices and competitively participate in the workforce and society. Visit our school and you will see our high expectations for all students come to life. You will see it in our music classrooms, in Language Arts and Math, and you will see it during physical and outdoor education. You will see it in the way that students care for others through their community service projects and fundraisers for more needy communities. I began my journey in education at age 5 by playing teacher with my dolls. Growing up in the Basque Country, in Northern Spain, I always wanted to be a teacher. To this end, I attended university in Bilbao, Spain. During my junior year, I was selected to attend University College Dublin in Ireland. I then return to Spain to complete my undergraduate studies. Five weeks after obtaining my B.A. in Linguistics and Literature from the University of Deusto, Bilbao, I moved to Los Angeles in order to pursue my Ph.D. in Linguistics at the University of Southern California. At USC, I taught Spanish language and Literature to undergraduate students while working on my thesis on Language Acquisition. 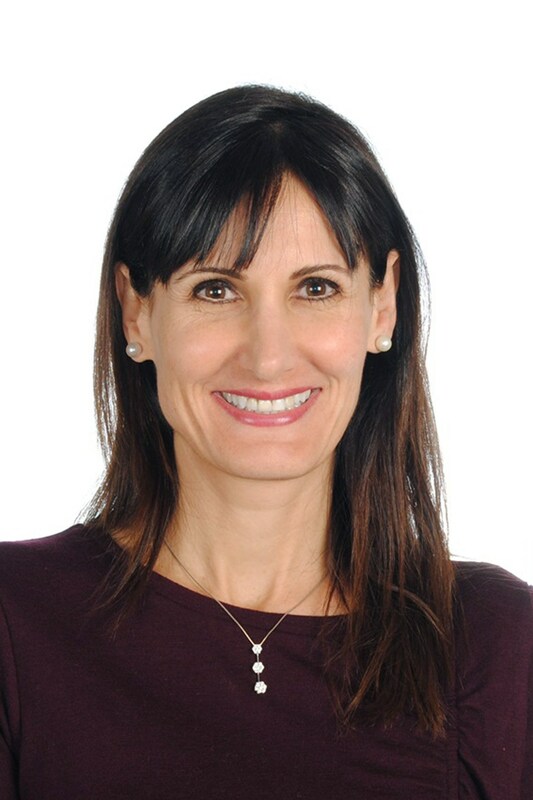 After 5 years of graduate studies and while working on my thesis, I began to work as a kindergarten teacher in a Title I school in Los Angeles where I also served as the Gifted and Talented Coordinator at the school. This position sprung my love for leadership. In turn, I began working on my Administrative Credential and eventually received a Masters in Educational Administration from California State University, Los Angeles. Upon completing this masters I applied for a coordinatorship at another Title I school in Winnetka. I worked as a Categorical Program Advisor for a year and a half. In the fall of 2003, I was selected among 300 applicants to be part of the first cohort of the LEAD (Leadership through Administrator Development) program, part of the Administrative Academy of the Los Angeles Unified School District. This program provided me with a mentoring and job-shadowing opportunity that gave me my first taste of the real world of educational leadership. In October 2004 I began as Assistant Principal at Fourth Street Elementary in East Los Angeles, a year-round Title I school with over 1,400 students. I then became Assistant Principal at two other low-socioeconomic schools in South Los Angeles, both year-round schools, with over 1,200 students each. In the summer of 2010, I was selected to be principal at Trinity Elementary in South Los Angeles, where I was Principal for 5 years. While at Trinity, I worked with teachers, staff, and community and in two years, Trinity became the first school in South Los Angeles to come out of Program Improvement School. In the spring of 2015, my family and I decided to move to the Palos Verdes Peninsula, mainly because of the world-class school district. I began commuting to Trinity in South Los Angeles and realized that I could not tolerate the long drive in traffic. Unexpectedly, in June 2015 there was an opening at Silver Spur. This was our neighborhood school and my stepson was already enrolled for the coming year. I did not think twice before applying. I interviewed for the job and on July 23, 2015, I was approved by the PVPUSD Board of Education to be the new principal at Silver Spur. I cannot tell you how happy I am to serve my own community. We have an outstanding group of professionals who are truly dedicated to our children and to teaching and learning. Our parents are tremendously vested and involved in our school. We have a phenomenal PTA who is always here to support our children and ensure their success. I am extremely proud to lead Silver Spur to new heights, in academics and in ensuring the socio-emotional well-being of all students. In 2017 Silver Spur Elementary was nominated by California to join the esteemed community of National Blue Ribbon Schools. 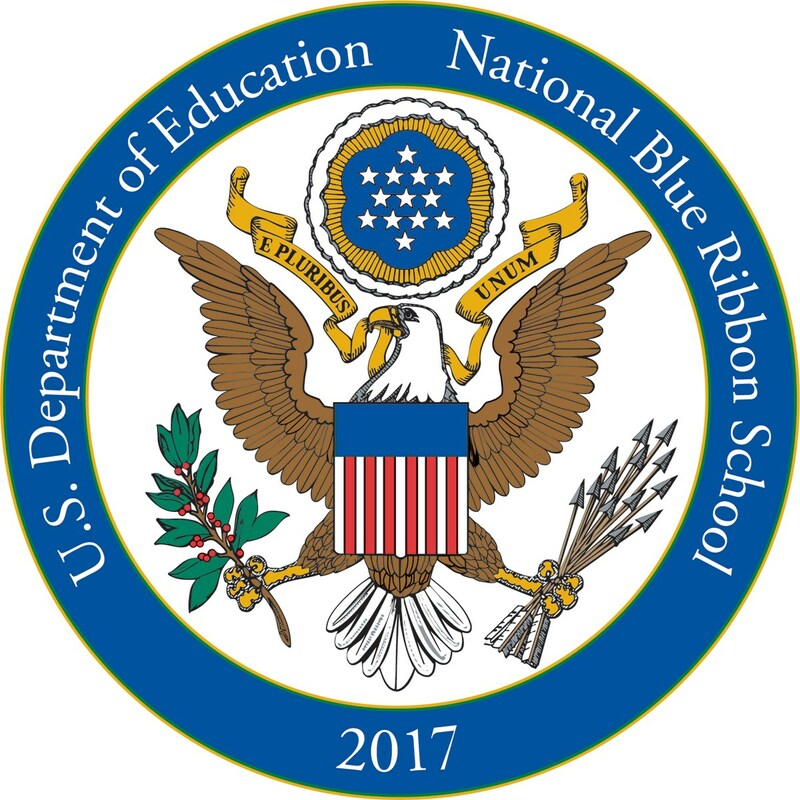 National Blue Ribbon Schools are public and non-public elementary, middle, and high schools that are producing outstanding results for all students. These schools have demonstrated consistent excellence and made progress in closing gaps in student achievement. The National Blue Ribbon Schools recognition program is part of a larger U.S. Department of Education effort to identify and disseminate knowledge about effective school leadership and promising instructional practices. California, as being the second largest state with the most schools, was able to nominate 35 outstanding schools. Out of those 35 schools that apply, only 23 were awarded the prestigious National Blue Ribbon Recognition. Silver Spur Elementary was one of these 23 schools in California to be recognized as an Exemplary High Performing Schools National Blue Ribbon School for 2017. 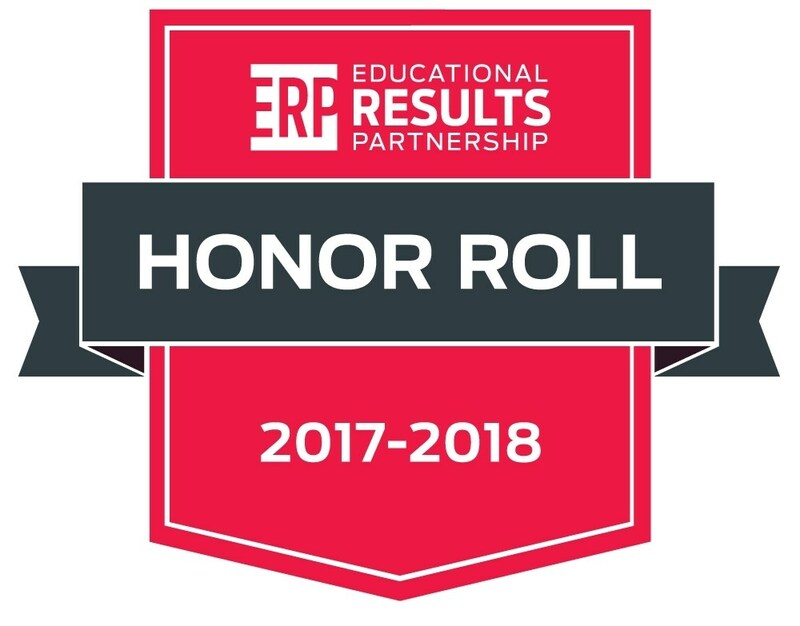 Silver Spur has been recently recognized as a 2017 - 2018 Educational Results Partnership (ERP) Honor Roll School for our high achievement and student success! The Honor Roll program, sponsored by the Campaign for Business and Education Excellence (CBEE), is part of a national effort to identify higher-performing schools and districts that are improving student outcomes. Schools that receive the ERP Honor Roll distinction have demonstrated consistently high levels of student academic achievement, improvement in achievement levels over time, and a reduction in achievement gaps among student populations. We are thankful for the hard work of our students, teachers, staff, and parents here at Silver Spur Elementary. This recognition is a testament to the sustained focus on academic results and commitment to student success that our school and parent community have shown over the years. I hope you will visit our School and learn more about our programs. I am confident you will find a place with a rich academic program and where an education in balance thrives. We look forward to showing you our School. Come visit us anytime! I will be more than happy to take you on a tour of Silver Spur!!! Go Broncos!! !